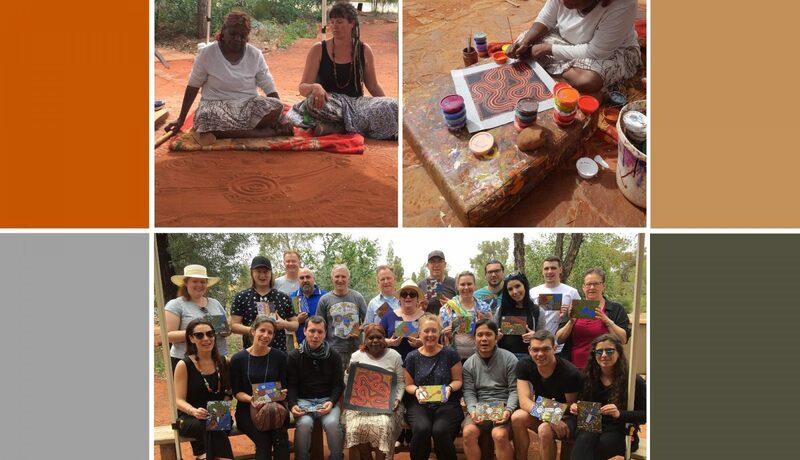 The team were back to work on Monday having safely returned from Uluru. I certainly gained a greater appreciation of this vast country and the depth of culture that allowed the original inhabitants to live at one with the land for 650 centuries. 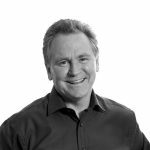 Edmiston Jones operates effectively as a cohesive team however there is nothing like undertaking an unfamiliar task in a completely different context to stretch skills and challenge assumptions. Dot painting proved to be such an exercise. 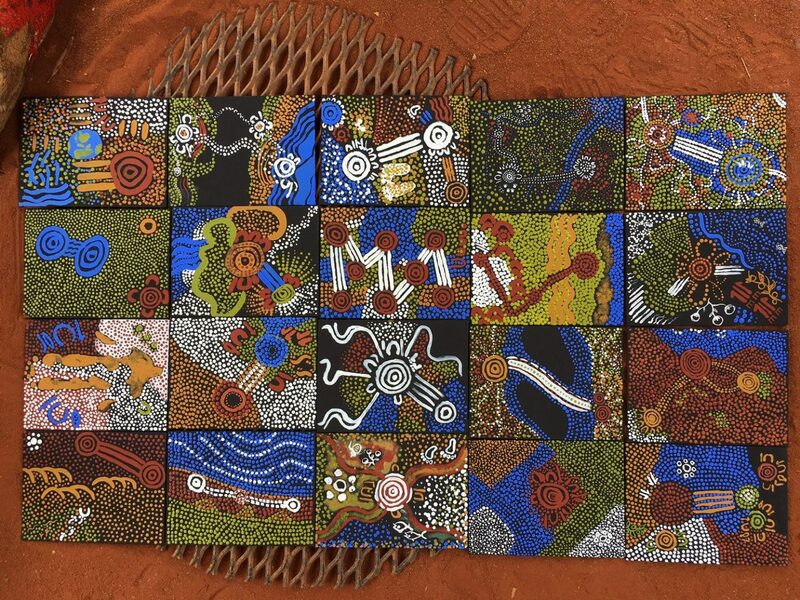 While Aboriginal art expressed with acrylic paint on canvas has a history of less than 50 years, there is a clear link to ancient rock art, bark paintings and ephemeral drawings in desert sand. 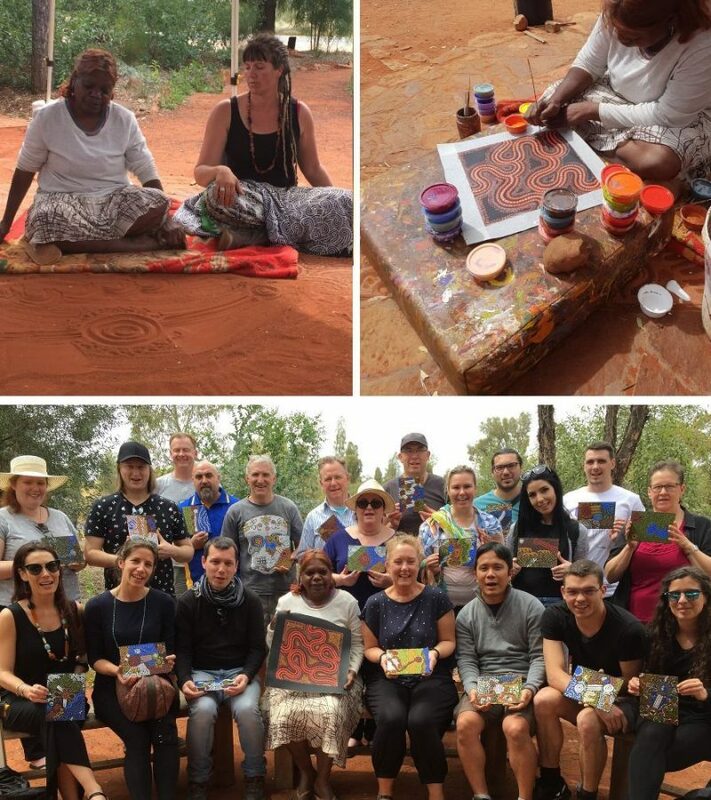 An indigenous artist, Sarah, with translator, Adelle, illustrated the traditional symbols used to tell a story or teach a lesson. Each member of the team then set about conveying something of their story on a small canvas. The canvases were placed side-by-side and we had the opportunity to share the meaning behind our artwork. The link between the drawings we produce as architects and the indigenous artwork is obvious when you take the time to think about it. Using transitory graphic devices to convey information for a greater purpose is an essential part of our tool kit. Once the ‘story is told’, and the plans have served their purpose in conveying a design and guiding construction, they are archived and largely forgotten. There is much to learn from the original custodians of this great land in understanding country and communication. We look forward to continuing the exploration.